The University of Göttingen (German: Georg-August-Universität Göttingen, GAU, known informally as Georgia Augusta) is a public research university in the city of Göttingen, Germany. Founded in 1734 by George II, King of Great Britain and Elector of Hanover, and starting classes in 1737, the Georgia Augusta was conceived to promote the ideals of the Enlightenment. It is the oldest university in the state of Lower Saxony and the largest in student enrollment, which stands at around 31,500. Home to many noted figures, it represents one of Germany's historic and traditional institutions. As of August 2018, 45 Nobel Prize winners have been affiliated with the University of Göttingen as alumni, faculty members or researchers. The University of Göttingen was previously supported by the German Universities Excellence Initiative, holds memberships to the U15 Group of major German research universities and to the Coimbra Group of major European research universities. Furthermore, the university maintains strong connections with major research institutes based in Göttingen, such as those of the Max Planck Society for the Advancement of Science and the Gottfried Wilhelm Leibniz Scientific Community. With approximately 8 million media units, the Göttingen State and University Library ranks among the largest libraries in Germany. In 1734, King George II of Great Britain, who was also Elector of Hanover, gave his Prime Minister in Hanover, Gerlach Adolph von Münchhausen, the order to establish a university in Göttingen to propagate the ideas and values associated with the European Enlightenment. Initially, the only new buildings constructed for the opening of the university were a riding hall and a fencing house, while courses were taught in the Paulinerkirche and associated Dominican monastery, or in the homes of professors. No university auditorium was built until well into the 19th century. Throughout the remainder of the 18th century the University of Göttingen was in the top rank of German universities, with its free spirit and atmosphere of scientific exploration and research. Famously, Georg Christoph Lichtenberg was the first to hold a professorship (1769–99) explicitly dedicated to experimental physics in Germany. By 1812, Göttingen had become an internationally acknowledged modern university with a library of more than 200,000 volumes. In the first years of the University of Göttingen, it became known especially for its Faculty of Law. In the 18th century Johann Stephan Pütter, a scholar of public law at that time, taught jus publicum for half a century. The subject had attracted students such as Klemens Wenzel Lothar von Metternich, later diplomat and Prime Minister of Austria, and Wilhelm von Humboldt, who later established the University of Berlin. In 1809 Arthur Schopenhauer, the German philosopher best known for his work The World as Will and Representation, became a student at the university, where he studied metaphysics and psychology under Gottlob Ernst Schulze, who advised him to concentrate on Plato and Kant. By the university's centenary in 1837, it was known as the "university of law," as the students enrolled by the faculty of law often made up more than half of the university's students. Göttingen became a Mecca for the study of public law in Germany. During this time, the University of Göttingen achieved renown for its critical work on history as well. An Enlightenment institution, it produced the Göttingen School of History. However, political disturbances, in which both professors and students were implicated, lowered the attendance to 860 in 1834. The expulsion in 1837 of the seven professors – the so-called Die Göttinger Sieben (the Germanist Wilhelm Eduard Albrecht (1800–1876), the historian Friedrich Christoph Dahlmann (1785–1860), the orientalist Georg Heinrich August Ewald (1803–1875), the historian Georg Gottfried Gervinus (1805–1875), the physicist Wilhelm Eduard Weber (1804–1891), and the philologist brothers Jakob (1785–1863) and Wilhelm Grimm (1786–1859)) – for protesting against the revocation by Ernest Augustus, King of Hanover, of the liberal constitution of 1833 further reduced the prosperity of the university. Otto von Bismarck, the main creator and the first Chancellor of the second German Empire, had also studied law in Göttingen in 1833: he lived in a tiny house on the "Wall," now known as "Bismarck Cottage". According to oral tradition, he lived there because his rowdiness had caused him to be banned from living within the city walls. At the end of the 19th and beginning of the 20th century, the University of Göttingen achieved its academic peak. Göttingen maintained a strong focus on natural science, especially mathematics. 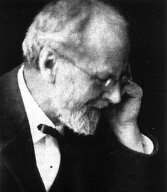 By 1900, David Hilbert and Felix Klein had attracted mathematicians from around the world to Göttingen, which made it a leading center of mathematics by the turn of the 20th century. Likewise, the Faculty of Theology in conjunction with other orientalists and ancient historians across the university became an international center for the study of religion and antiquity. During this time, the German language became an international academic language. A number of dissertations in the UK and the US had German titles. One might be considered having had a complete academic training only when one had studied in Germany. Thus, many American students were proud of having studied in Germany, and the University of Göttingen had profound impacts on the US. A number of American politicians, lawyers, historians and writers received their education from both Harvard and Göttingen. For example, Edward Everett, once Secretary of State and President of Harvard University, stayed in Göttingen for two years of study. George Ticknor spent two years studying classics in Göttingen. Even John Lothrop Motley, a diplomat and historian, had personal friendship with Otto von Bismarck during his two-year-long study in Göttingen. George Bancroft, a politician and historian, received his PhD from the University of Göttingen in 1820. After World War II, the University of Göttingen was the first university in the western Zones to be re-opened under British control in 1945. The university is spread out in several locations around the city. The central university complex with the Central Library and Mensa (student refectory/dining hall) is located right next to the inner city and comprises the faculties for Theology, Social sciences, Law, Economics/Business Administration and Linguistics. The departments of Ancient History, Classics, various languages, Psychology and Philosophy are nearby. Located to the south of the city is the Faculty of Mathematics and Computer Science with its main building, the Mathematisches Institut, on the same street as the German Aerospace Center and the Max Planck Institute for Dynamics and Self-Organisation. Elsewhere in the city are the departments of Anthropology and Educational Sciences as well as the Medical Faculty with its associated hospitals. Closely linked with the university is the Göttingen State and University Library (German: Niedersächsische Staats- und Universitätsbibliothek Göttingen, or SUB Göttingen). With around 8 million media units and precious manuscripts, the library is designed for Göttingen University as well as the central library for the German State of Lower Saxony (with its central catalogue) and for the Göttingen Academy of Sciences, founded as the 'Royal Society for Sciences'. Today the university consists of 13 faculties and around 31,000 students are enrolled. More than 400 professors and 4,000 academic staff work at the university, assisted by a technical and administrative staff of over 7,000. The post-war expansion of the university led to the establishment of a new, modern "university quarter" in the north of the city. The architecture of the old university can still be seen in the Auditorium Maximum (1826/1865) and the Great Hall (1835/1837) at Wilhelmsplatz. The University of Göttingen encompasses 13 faculties and a total of 47 additional centers and institutes (including associated centers and institutes but excluding institutes or departments within the faculties themselves). A well-established institution, the University of Göttingen has long been rated among the best universities in Germany and in the world. Within the framework of the 2006–07 German Universities Excellence Initiative, it won funding for its future concept "Tradition, Innovation, Autonomy," its graduate school "Neurosciences and Molecular Biosciences," and its research cluster "Microscopy at the Nanometer Range." In the 2012 Excellence Initiative, Göttingen succeeded in obtaining funds for its graduate school "Neurosciences and Molecular Biosciences" and its research cluster "Microscopy at the Nanometer Range", but failed in its bid for future concept financing. In September 2018, Göttingen succeeded in gaining funds only for its research cluster "Multiscale Bioimaging", and failed in the other applications. Consequently, Göttingen would no longer be eligible for the fourth round of future concept financing across the country in 2019. The University of Göttingen is associated with 45 Nobel laureates. By this number alone, the University of Göttingen ranks among global top 15. The most recent Nobel laureates associated with the university are Stefan Hell (Nobel Prize in Chemistry, 2014) and Thomas C. Südhof (Nobel Prize in Physiology or Medicine, 2013). Stefan Hell has been a lecturer (in Privatdozent capacity) at the University of Göttingen since 2004 and the director of the Max Planck Institute for Biophysical Chemistry in the Göttingen Research Campus since 2002, while Thomas Südhof, currently a professor at Stanford University, worked on his doctoral thesis at the Max Planck Institute for Biophysical Chemistry in the lab of British biochemist Victor P. Whittaker. However, Göttingen has declined overall in other international rankings in recent years. For example, in the Shanghai Ranking (ARWU) of 2018, it is ranked 99th, while in 2004 it was ranked 79th. More surprisingly, according to the Times Higher Education World University Rankings, Göttingen was previously ranked 43rd in 2011, but is ranked only 123rd in 2019. Additionally, the Max Planck Institute for Solar System Research, formerly Max Planck Institute for Aeronomy is closely linked to and has cooperation with the university. As Germany is a member of the European Union, university students have the opportunity to participate in the Erasmus Programme. The university also has exchange programs and partnerships with reputable universities outside Europe such as University of Technology, Sydney in Australia, Tsinghua University, Peking University and Fudan University in China, Tokyo University in Japan and the University of California, Berkeley, in the United States. There is an old saying about life in Göttingen, still inscribed in Latin nowadays on the wall of the entrance to the Ratskeller (the restaurant located in the basement of the old town hall): Latin: Extra Gottingam non est vita, si est vita, non est ita (There is no life outside Göttingen. Even if it is life, it is no life like here). Ancient university towns are wonderfully alike. Göttingen is like Cambridge in England or Yale in America: very provincial, not on the way to anywhere – no one comes to these backwaters except for the company of professors. And the professors are sure that this is the centre of the world. There is an inscription in the Ratskeller there which reads 'Extra Gottingam non est vita', 'Outside Göttingen there is no life'. This epigram, or should I call it epitaph, is not taken as seriously by the undergraduates as by the professors. Notable people that have studied and taught at Georg-August University include the American banker J. P. Morgan, the seismologist Beno Gutenberg, the endocrinologist Hakaru Hashimoto, who studied there before World War I, and several notable Nobel laureates like Max Planck and Werner Heisenberg. Heinrich Heine, the famous German poet, studied law and was awarded the degree of Dr.iur. Jürgen Habermas, a German philosopher and sociologist, pursued his study here in Göttingen. Later, Richard von Weizsäcker, the former President of Germany, earned his Dr.Jur. here. Gerhard Schröder, the former Chancellor of Germany, also graduated from the school of law in Göttingen. Klemens Wenzel Lothar von Metternich, later diplomat and Prime Minister of Austria, and Wilhelm von Humboldt, who later established the University of Berlin, Arthur Schopenhauer, the German philosopher. The Brothers Grimm had taught here and compiled the first German Dictionary. In the 19th century, Gustav von Hugo and Rudolf von Jhering, a jurist who created the theory of "culpa in contraendo" and wrote Battle for Right, taught here and maintained the reputation of the faculty of law, as well as Otto von Bismarck, the main creator and the first Chancellor of the second German Empire. The German inventor of the jet engine, Pabst von Ohain, also studied aerodynamics under Ludwig Prandtl. Edmund Husserl, the philosopher and known as the father of phenomenology, taught here. Max Weber, the sociologist studied here for one term. Carl Friedrich Gauss taught here in the 19th century. Bernhard Riemann, Peter Gustav Lejeune Dirichlet and a number of significant mathematicians made their contributions to mathematics here. Professor Gunther Heinrich von Berg, Doctor of Law taught at the University 1794 to 1800 and later entered politics. ^ Universität Göttingen (October 5, 2009). "Leitbild für Alumni Göttingen". Archived from the original on July 18, 2017. Retrieved July 17, 2017. ^ "Finances". University of Göttingen. Archived from the original on 2018-10-21. Retrieved 2018-10-21. ^ a b "Staffing figures". University of Göttingen. Archived from the original on 2018-10-21. Retrieved 2018-10-21. ^ "Data on the area of teaching and learning". University of Göttingen. Archived from the original on 2018-10-21. Retrieved 2018-10-21. ^ "Studierende (Personenzählung) an der Georg-August-Universität Göttingen (mit Medizin)" (PDF). University of Göttingen (in German). Archived (PDF) from the original on 2017-11-16. Retrieved 2017-06-22. ^ Deanna Spingola, The Ruling Elite: a Study in Imperialism, Genocide and Emancipation, 2011, p. 92. ^ "The dinner between Hilbert and Rust". Archived from the original on 2018-01-14. Retrieved 2018-01-13. ^ "Academic Ranking of World Universities 2018". Archived from the original on 2018-10-21. Retrieved 2018-10-21. ^ "QS World University Rankings 2019". Archived from the original on 2018-10-21. Retrieved 2018-10-21. ^ "World University Rankings 2019". Archived from the original on 2018-10-21. Retrieved 2018-10-21. ^ "U.S. News Education: Best Global Universities". Retrieved 2019-01-24. ^ "University of Göttingen Rankings". ARWU. Archived from the original on 21 October 2018. Retrieved 21 October 2018. ^ MADHUVANTHI KANNAN. "Scientists' haven". The Hindu. Archived from the original on 4 July 2014. Retrieved 4 July 2015.